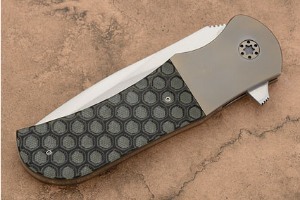 Blade height (at heel): 1.28 in. 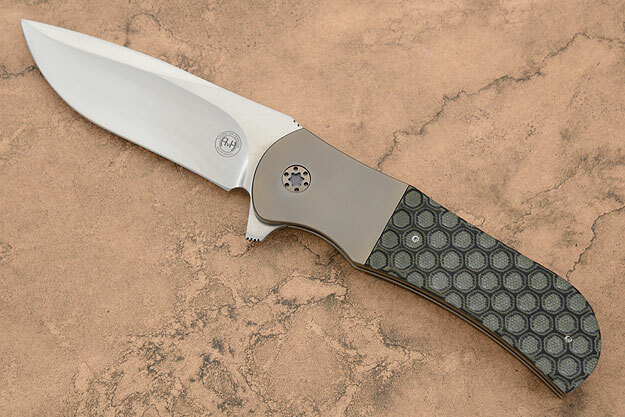 The drop point N690 stainless blade is meticulously hand satin finished which shows off clean, dramatic grind lines. N690 is a super-steel created by Bohler in Austria. It takes an incredibly sharp edge and holds it. The increased toughness gives it better resistance to edge chipping. 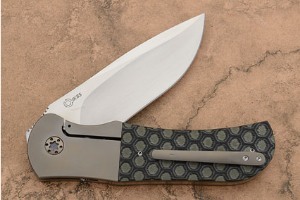 The blade is hollow ground for easy maintenance. 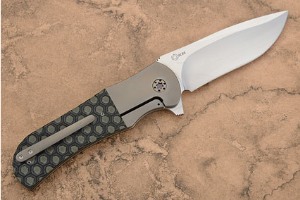 The handle is shaped from G10 3D textured scales, providing both a dramatic appearance and a non-slip grip. The scales meet up to titanium bolsters which are integral to the titanium frame rather than being separate pieces set on liners. The light-weight materials retain a nimbleness that makes this knife feel as though it disappears in the hand despite its masterful size. 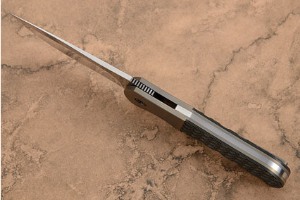 The slim titanium pocket clip is mounted for tip-up carry.